Mehbooba was facing a virtual rebellion in her party after she was dislodged from power by the BJP which withdrew support from the coalition on June 19. December. Former Chief Minister Mehbooba Mufti suffered another setback on Wednesday when her confidant Basharat Bukhari, who was a minister in her cabinet, resigned from the Peoples Democratic Party (PDP) and joined the National Conference (NC). NC chief Farooq Abdullah and former CM Omar Abdullah jubilantly welcomed Bukhari in the party. Basharat Bukhari is the brother of Kashmiri journalist Shujat Bukhari, who was recently shot dead by terrorists in Srinagar. One by one senior leader, who was once considered trusted lieutenant of Mehbooba’s father late Mufti Mohammad Sayeed, is now deserting her as they say they are feeling marginalised in the party. Haseeb Drabu, who was the finance minister in Mehbooba’s cabinet, resigned from the PDP a few days ago and there were indications that he might join hands with the BJP backed former separatist Sajjad Lone. A Shia leader, Imran Raza Ansari, who was also a minister in the Mehbooba led BJP-PDP government, was the first to raise the banner of revolt against her and joined Sajjad Lone’s Peoples Conference (PC) as soon as her government fell. Reports of the BJP general secretary Ram Madhav holding series of closed-door meetings with the PDP rebels have been pouring. However, Madhav’s game plan of forming PC-BJP government has so far not materialised as Lone has failed to get the support of an adequate number of PDP MLAs. Governor Satya Pal Malik had recently dissolved the Assembly when Lone and Mufti separately staked claims to form the government. However, in the process, Mehbooba was a loser at this crucial time when the BJP and Lone were poaching on her senior leaders. 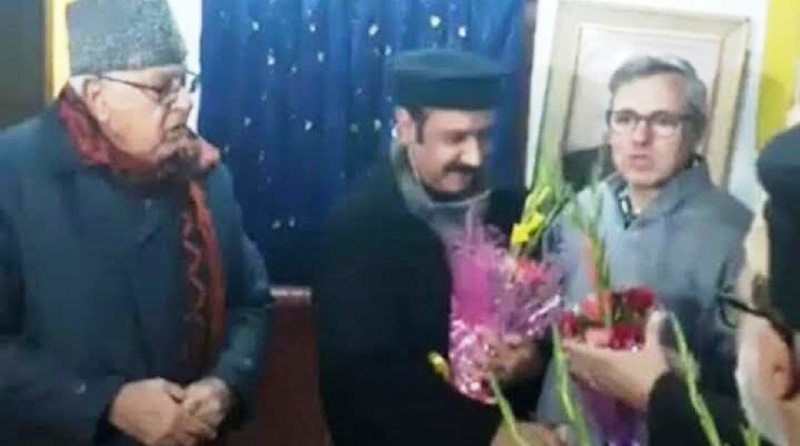 Two other legislators, Abid Ansari and Mohammad Abbas Wani, have also left the PDP and joined Lone whom the BJP had been projecting as the chief ministerial candidate. In a pre-emptive move, Mehbooba had on Tuesday expelled Bukhari and another leader Peer Muhammad Hussain from the party as reports of their plans to join the NC were gaining momentum. Mehboob Iqbal has also been removed from the post of general secretary. In a bid to keep her flock together, Mehbooba had recently organised a meeting of the political affairs committee of the PDP and given indications of decentralising power. A sulking Muzaffar Hussain Baig, who is also a sitting MP, was appointed the patron of PDP as he had also started speaking in favour of Lone. Many senior leaders of PDP were annoyed due to “undue interference” of Mehbooba’s maternal uncle Sartaj Madni. 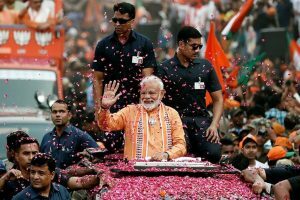 During his chief ministership, Mufti Mohammad Sayeed did not allow Madni to meddle in his government’s affairs but after Mufti’s death, he was reportedly calling the shots in Mehbooba’s government which was neither appreciated by the PDP leaders nor by the coalition partner BJP.